Veterinarians are the primary providers of healthcare services to companion, zoo and sporting animals and livestock. Most work in private practices, typically caring for small animals such as dogs, cats, and birds. Find out exactly what you need to do to become a vet, including education and licensing requirements, but first, see what characteristics will help make you successful in this occupation. Do You Have What It Takes to Be a Veterinarian? To work in this occupation, you must have a strong aptitude for science, since your training will consist mostly of coursework in this subject. If science isn't your strength, you can still find a career working with animals if that is what you desire, but it will have to be in another occupation. In addition to scientific aptitude, there are other qualities, know as soft skills, you must have. Aside from the obvious—compassion, sensitivity to others' feelings and a love of animals—you must have very good listening, speaking, critical thinking and problem-solving skills. You must possess the ability to reason, meaning that you have to be able to draw conclusions by piecing together strands of information that may not seem related to one another. 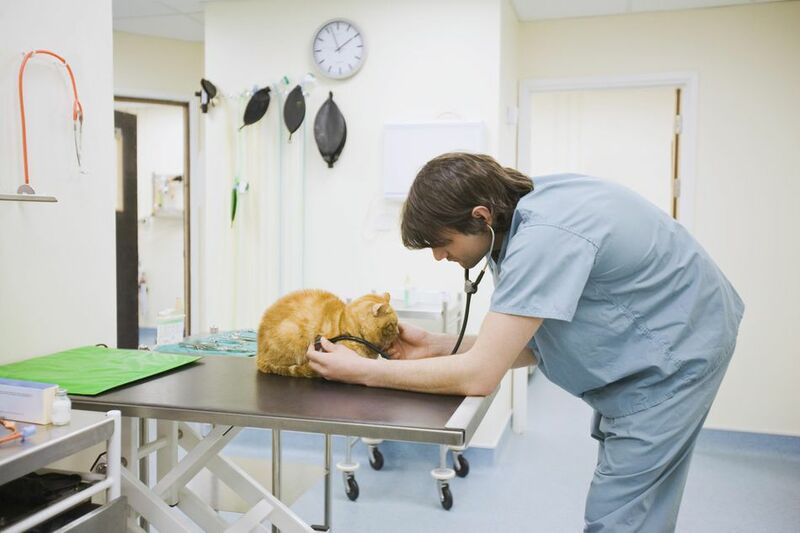 Aspiring veterinarians must earn a Doctor of Veterinary Medicine degree, abbreviated as either DVM or VMD. This is a four-year program, that usually, but not necessarily, follows first earning a bachelor's degree. All DVM and VMD students also receive clinical training as part of their education. These are usually called clinical rotations and give students hands-on experience working with patients and clients. They may work in a variety of clinical areas, including surgery, community practice, equine medicine, and oncology. With only 28 veterinary schools in the US, according to the Association of American Veterinary Colleges (About AAVC: Frequently Asked Questions), competition for admission is intense. While an undergraduate degree is not required, it will increase your chances of being accepted. Before you can enroll, you will need a certain number of college credits, as well as prerequisite coursework including classes in biology, chemistry, physics, genetics, biochemistry, math, English, social sciences and the humanities. Most schools request scores from a standardized test, such as the MCAT (Medical College Admissions Test) or the GRE (Graduate Record Exam). Check with the schools to which you want to apply to find out which test they require. For information about each of the 28 member schools of the Association of American Veterinary Colleges including admissions requirements, please see College Descriptor Pages on that organization's website. You will also find details about Canadian and other international schools. Every state and the District of Columbia mandate that all veterinarians have a license to practice. Requirements vary by jurisdiction, but all stipulate that individuals pass the North American Veterinary Licensing Examination. This is a computerized 360 question multiple choice exam. You may also have to take, and pass, a state exam. One must have received a professional degree from a veterinary school of medicine accredited by the American Veterinary Medical Association (AVMA) and completed at least one year of clinical training through an internship or similar experience. Some state boards will license graduates of unaccredited programs with additional testing. Continuing education is generally required for license renewal. To find out what regulations are in effect state-by-state, visit the American Association of Veterinary State Boards and see the Board and Agency Directory. "Must provide exemplary medicine to our patients and outstanding service to our clients." "Looking for outgoing, enthusiastic team player with a good sense of humor." "Improves both the medical quality and business performance of the hospital." "Compassionate commitment to Pet care"